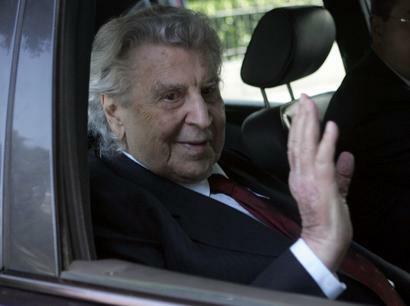 Mikis Theodorakis was released from hospital on Tuesday morning after doctors diagnosed improvement in his health condition. The 93-year-old composer was rushed to a private hospital late last Friday after having suffered a heart attack. 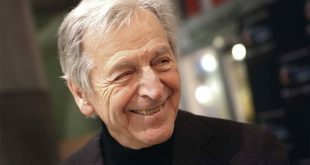 “Composer Mikis Theodorakis was released form hospital after clear improvement of his health condition,” the private hospital said in a statement. 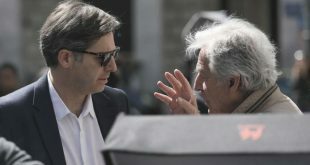 Theodorakis was admitted to the hospital at 11:19 pm on Friday, August 3rd, with informal procardium pain, a tachyarrhythmia episode, on the ground of relapsing atrial fibrillation, the statement added. 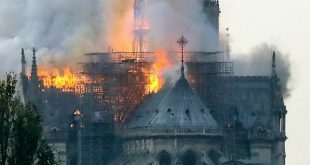 Citing members of his family media reported on Sunday that Theodorakis felt uneasy, a pressure on the chest and fast heart beat late on Friday night. His doctors had reportedly said that the big danger is over and they are optimistic, however, they are concerned about his health progress due to his age. *thumbnail picture is from 2011.